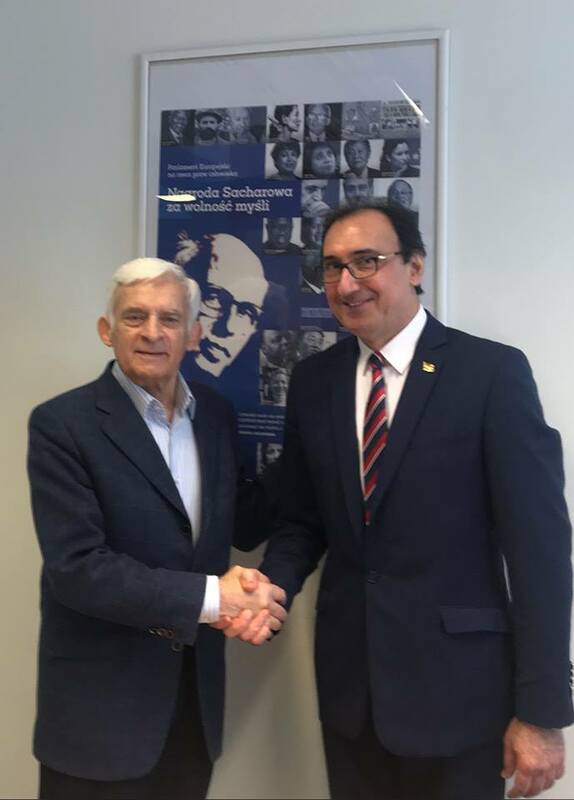 On March 26, KRG Representative in Poland Ziyad Raoof met with Jerzy Buzek- former Prime Minister of Poland, former Chairman of European Parliament, currently member of European Parliament and Chair of Committee on Industry, Research and Energy. Jerzy Buzek asked narrowly about situation in the Middle East and in Kurdistan. Ziyad Raoof precisely described development of relations between Erbil and Baghdad in recent months. KRG Representative appealed for supporting Kurdish issues in European Parliament. He also invited Jerzy Buzek to visit Kurdistan. Ziyad Raoof stressed that Kurdish authorities would be also interested in Polish experience of successful reform of self-government system implemented during Jerzy Buzek’ rule as a prime minister of Poland. Jerzy Buzek expressed tentatively his interest in visiting Kurdistan Region.